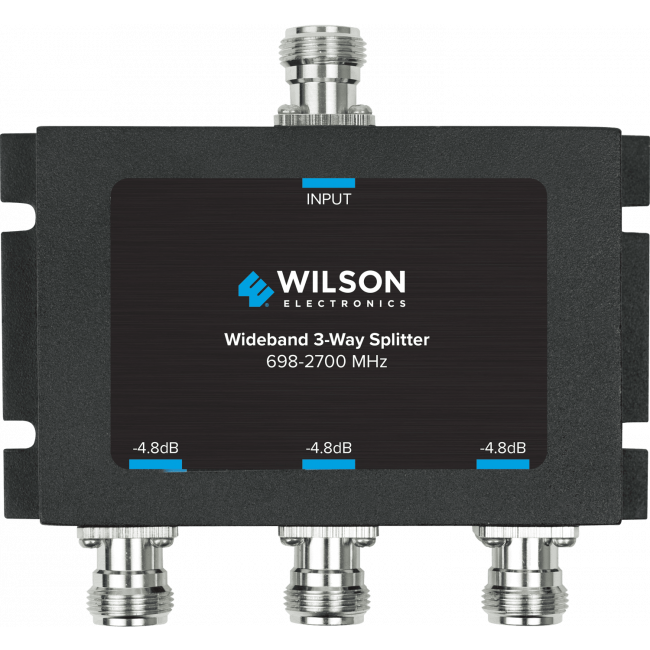 The Wilson Three-Way 700-2700 MHz 50 Ohm Splitter with N Female Connectors (859980) is used to split a single input signal into three outputs. 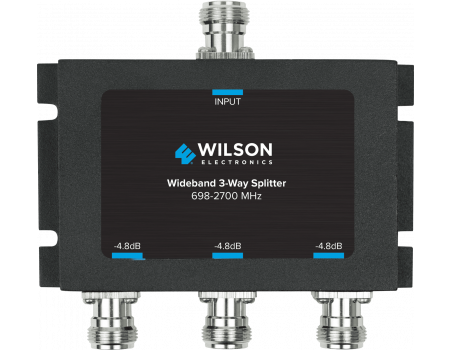 The Wilson Three-Way 700-2700 MHz 50 Ohm Splitter with N Female Connectors (859980) is used to split a single input signal into three outputs. It has N-Female connectors. 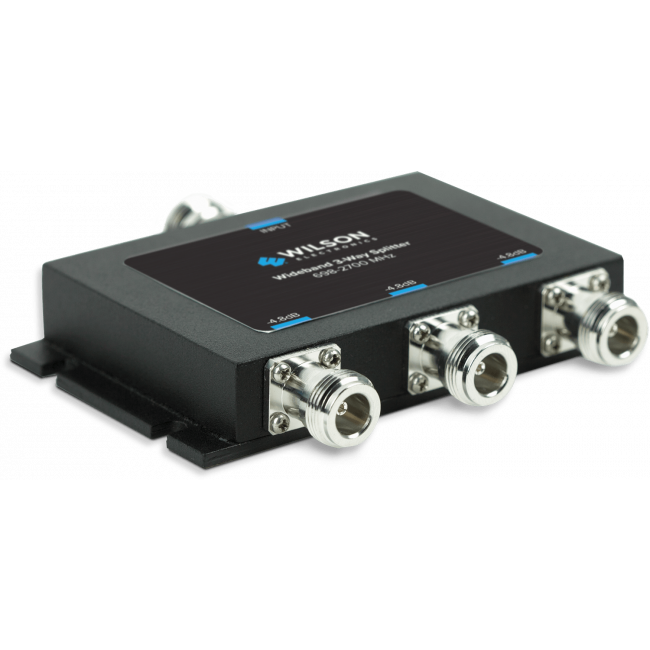 All three output ports experience a loss of -4.8dB per port due to the split.